March 2018 - OMG Love Beauty! Those nail artists are actually painters! Enjoy those great ideas for your nails and also don't miss the video tutorials at the end! Amazing works of art by talented hairdressers! LED NAILS: Light Up Your Nails with Your Smartphone! A new crazy trend for your nails! Use your mobile to light up your gorgeous nails and make heads turn! Impressive and stylish, don't you think? Scroll over to learn everything about this hot manicure trend! This Color Artist from San Francisco is Totally Awesome! We loved her hair creations at first sight! Rachel Stefanik is a vivid and creative color specialist from San Francisco. Check out her Instagram account for more! A Japanese artist selected some of the most emblematic hair braids and with the help of photo editing software he cropped just the braids. The result is mesmerizing! Which State Has Fined Residents Almost $100,000 for Braiding Hair Without a License? This is life, accidents happen! LAUGH ALERT: Dads vacuum-styling their daughters' hair! Hilarious videos! Check them out below! OMG, I am in love with Silver Hair! What about you? Trendy ideas to style your short hair! Have you heard about the awesome Gypsy Shrine project? This Politician from Russia has the Most Unusual Hairstyle! 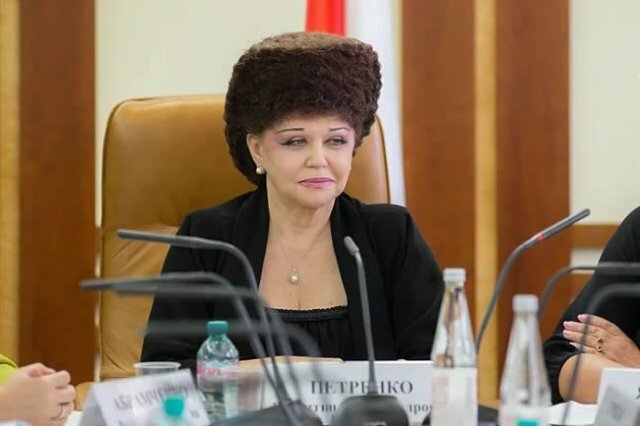 Russian senator Valentina Petrenko’s political career stretches back to the days of the former Soviet Union, and she’s since held various senior official jobs, but the thing she is most known for is her hair. This is a gorgeous collection of bob haircut ideas for blonde girls! Enjoy! This gallery will inspire you and help you find the best toe rings for your feet! Take a look at this video collection with unbelievable hair disasters... Just watching these videos make my spine tingle! I really hope this never happens to anyone ever again. Stunning hairstyles in bright colors!